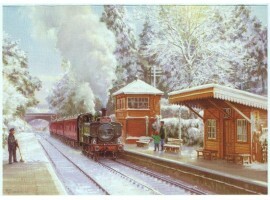 The Somerset and Dorset Railway was a much loved cross country line running from Bath to Bournemouth. After crossing the Mendip Hills the Railway reached the Junction at Evercreech from here the branch line to Burnham on Sea crossed the flat Somerset levels calling in at Glastonbury and Street. 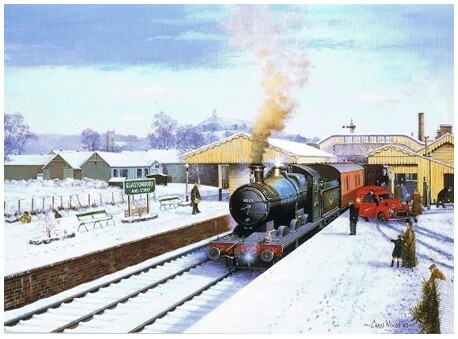 Christmas in snow is a very rare occasion these days but in 1962 the area was covered in a pure white blanket. 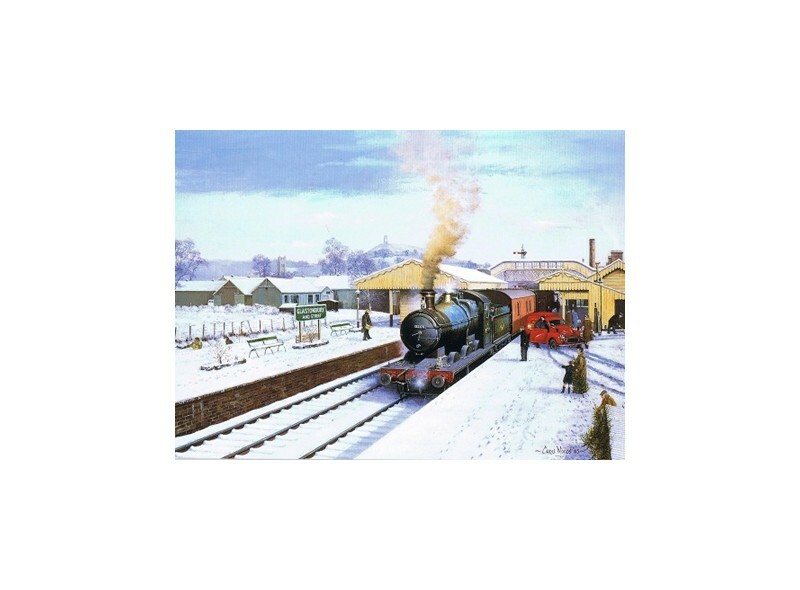 The print size is aprox.15 x12 inches.This painting by railway artist Chris Woods captures the little 0-6-0 locomotive number 3205 arriving at the station , Glastonbury Tor and Abbey can be seen in this time piece that will evoke many memories of the period.